The brand new WD Blue SN500 NVMe drive series brings NVMe performance to content creators and PC enthusiasts that might have been only able to afford SATA III SSDs just a number of months ago. Falling SSD pricing has allowed all laptop and desktop PC users to get incredible storage performance. WD claims the new SN500 NVMe SSD series delivers three times the performance of its SATA counterpart (WD Blue SATA SSD) and that is true. The WD Blue SATA SSD tops out at 560 MB/s read and the new WD Blue SN500 NVMe drives top out at 1,700 MB/s. Our performance testing shows that the WD Blue SN500 250GB drive was able to top 1,700 MB/s in benchmarks like CrystalDiskMark, so they aren’t lying on that! When it comes to pricing the WD Blue 500GB 3D NAND SATA SSD is available for $67.99 shipped and the WD Blue SN500 500GB NVMe drive is available for $77.99 shipped. 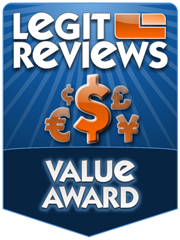 So, for an extra $10 you are getting up to a 3x performance boost in some areas. Spending 15% more to get such performance gains is easily justifiable. 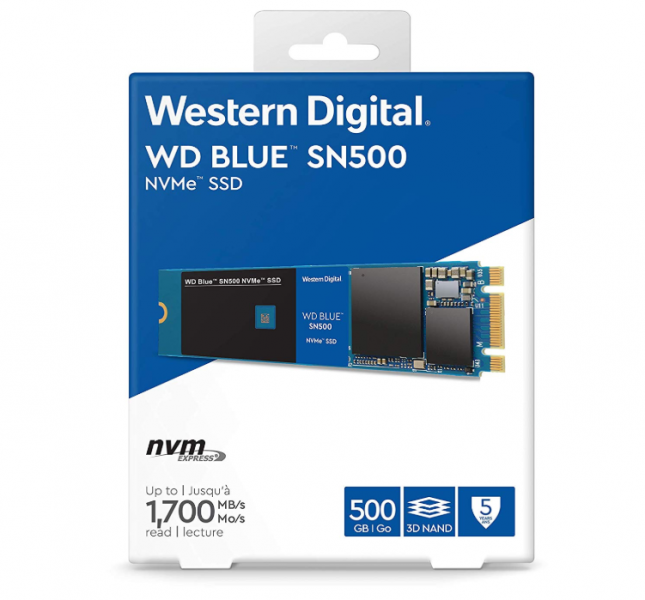 The WD Blue SN500 series is also backed by a 5-year warranty and respectable endurance ratings of 150TBW on the 250GB drive and 300TBW on the 500GB model. That gives peace of mind on what many would consider a low-cost NVMe SSD. We hope that WD adds larger capacities in the near future though as 250GB and 500GB drives are pretty small these days. We were extremely shocked when WD sent us over the 250GB drive to review. It is priced at $54.99 shipped, but we wouldn’t recommend a 250GB drive to anyone as a primary drive these days. Most will want to go with at least a 500GB or 1TB drive. Legit Bottom Line: The WD Blue SN500 is one of the best bangs for the buck when it comes to entry-level NVMe SSDs!